we welcome you very warmly to our website! 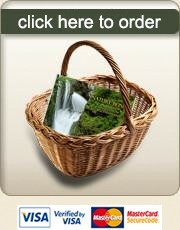 "Nature Beings - Messages From Forgotten Friends"
and offer you a simple way of purchasing the DVD. In this film you find out how you, too, can make contact with nature beings and obtain their help. You will see how easy it is to help them and thus make it easier for them to continue their work in supporting our beautiful nature kingdoms.